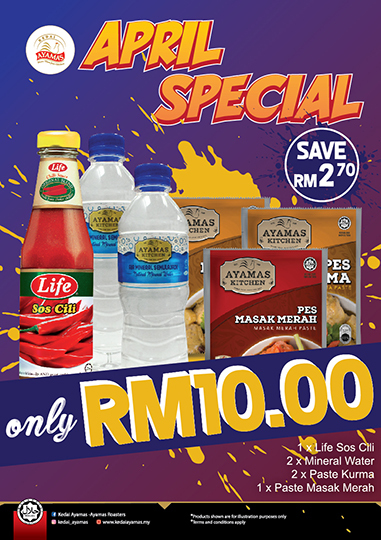 For only RM10.00 You will get 1 bottle of Life Sos Cili + 2 Mineral Water (500ml) + 2 Paste Kurma + 1 Paste of Masak Merah. 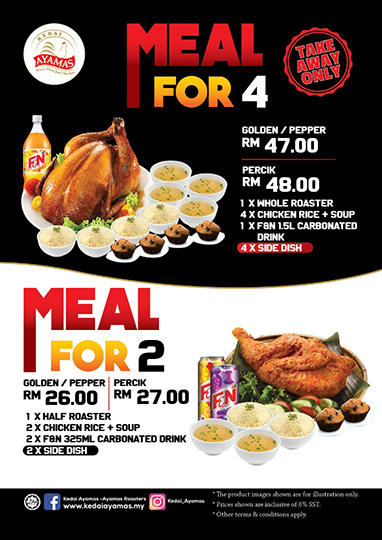 Get our rice Set Meal at any Ayamas outlet. 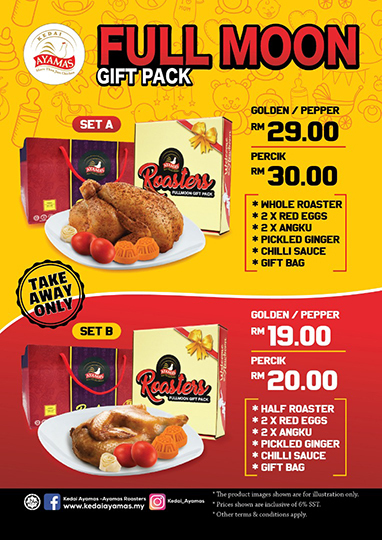 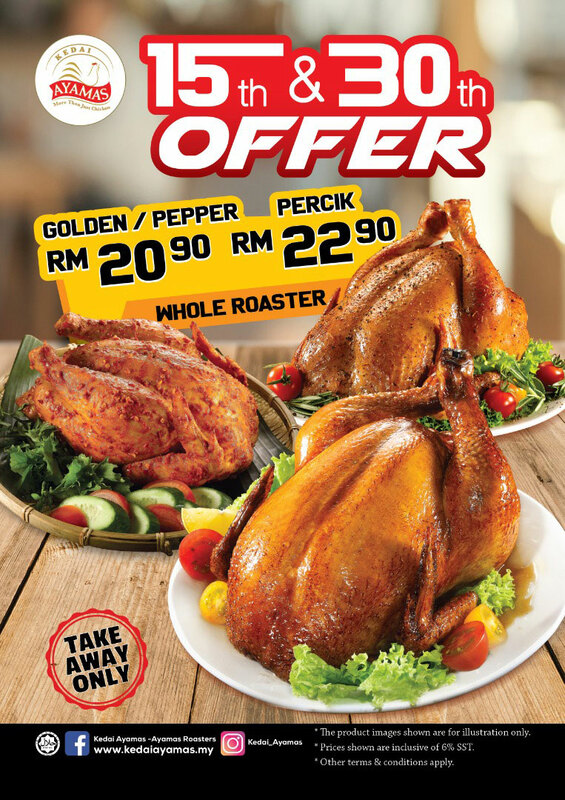 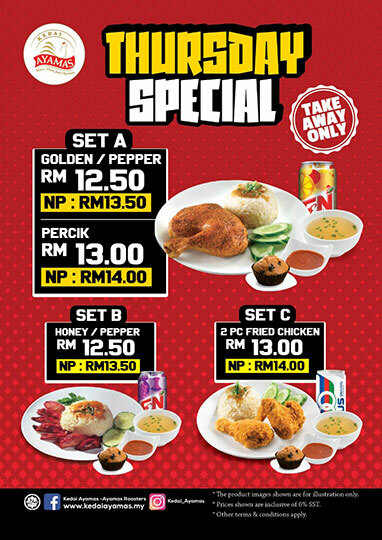 Starting from RM26.00.